Polley AssociatesPennsylvanians Can Obtain A New Jersey Real Estate License. Short answer: Yes. Pennsylvania agents can do business in New Jersey, BUT they must be dual licensees; in other words, licensed to operate in both states. They also must be supervised by a broker who is similarly licensed to operate in both states. The New Jersey State Real Estate Commission has demonstrated its willingness to issue New Jersey real estate licenses to Pennsylvania residents who want to work both sides of the river. The Commission has very specific requirements, however, that must be met before licensure is granted. They’re explained on a page in the Polley website’s Learning and Resource Center, here. 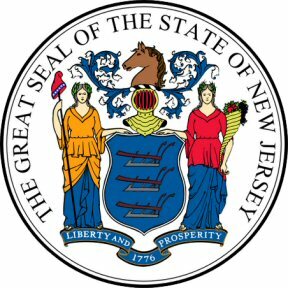 To qualify, New Jersey requires Pennsylvania licensees to take a 15-hour broker course approved by the Pennsylvania State Real Estate Commission. (See Item 1 under the “Second Option” heading on the Learning and Resource Center page). Polley regularly, and conveniently, offers 15-hour broker courses that can be used for this purpose. They are Accredited Buyer Representative, Seller Representative Specialist, and Senior Real Estate Specialist. Most are scheduled several times during a year at Polley’s Newtown Square and Blue Bell classrooms. There are other significant requirements, too. And, yes, prospective New Jersey licensees must take a test; there is no reciprocity with Pennsylvania. Read the details on the page. If you’re a Pennsylvania-licensed broker who wants to obtain a New Jersey broker license, that’s also possible. Those details are found on a separate page, here. Polley Associates is Pennsylvania’s oldest and largest “approved provider” school for real estate career professionals. It also meets the needs of licensees in New Jersey, New York and Delaware.